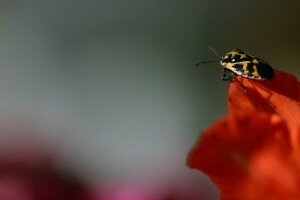 Harlequin bugs are closely related to stinkbugs and as such, are notorious plant eaters. 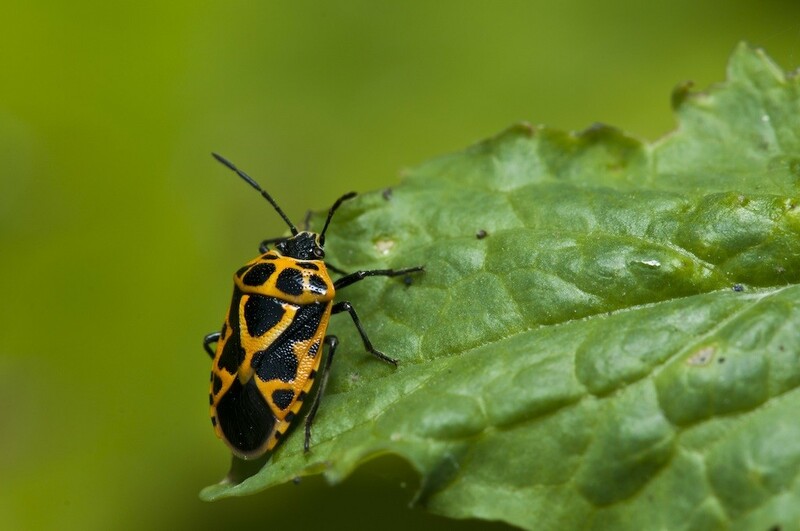 Nicknamed the “cabbage bug”, harlequins have been known to eat most any garden vegetable including horseradish, collards, brussel sprouts, most any fruit, eggplant, potato, tomato and more. Generally thought to be southern pest, harlequins range from the Atlantic to the Pacific ocean and go as far north as New Jersey. In the spring, adults emerge and start to feed on any green leafy plant they find. Eventually they’ll congregate on farms growing leafy plants like cabbage, lettuce or similar crops. Around the home they’ll target most any vegetable garden and once they start feeding, pheromones and scent trails will attract others in the area. Harlequins take around 2-3 months to complete a life cycle. Eggs are laid on the bottom side of leafy plants and hatch young nymphs which are similar to the adult but more round. In fact they’re commonly mistaken for a ladybug during this first instar stage. In a short while after they hatch, they’ll immediately begin to feed and grow eventually becoming reproducing adults by summers end. Anyone growing vegetables that get infested with harlequins know the rapid damage they can produce. Their piercing sucking mouth parts will extract vital plant juice which essentially result in “sucked to death” disease. Initially you’ll see wilting leaves and stems that will soon turn brown and die. As adult harlequins exhaust their host plants, they’ll initially migrate looking for a good place on which to lay eggs. This might be in a nearby tree or shrub. But in residential areas, it could be a tree. Harlequin adults don’t die in the fall and generally live a few years. As fall arrives, they’ll migrate onto homes and trees looking for nooks and gaps in which to rest protected from the cold air of winter. When roosting on a home, they typically hide behind rain gutters, around window shutters, under window sashes and up under siding. In general they’ll stay in these areas until the following spring but its not uncommon to find them inside living areas if your home is heavily infested. Harlequin bugs in the garden can be controlled using MULTI PURPOSE INSECT KILLER. This concentrate is approved for organic gardening and yet is still strong enough to penetrate the harlequins tough outer shell. Mix 6 oz per gallon of water and cover all infested plants by treating after dinner, just before dusk. Expect to treat at least twice with the second treatment done 7 days after the first. Use a good PUMP SPRAYER to make the application and don’t leave any of the mixed solution sit in the tank. In other words, use up what you mix so it won’t turn bad. Solutions will be stable for 2-3 days but in general, its best to use up what you mix within one day. 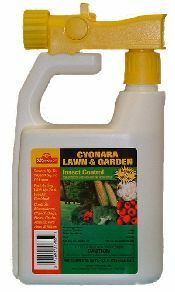 If you have a large garden to treat or want a longer lasting residual compared to the organic option listed above, go with CYONARA RTS. 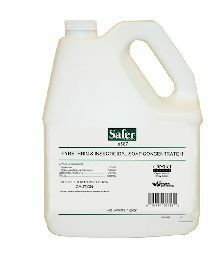 This active is fast acting, odorless and labeled for use on vegetable gardens. 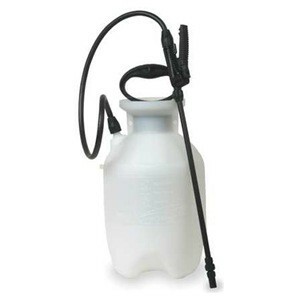 The jug has its own “hose end sprayer” so you only need to hook it to your garden hose and start spraying. It will mix automatically and treatments will last 2-4 weeks. To keep harlequin bugs off your house, spray the homes exterior with CYPERMETHRIN. Mix 1 oz per gallon and expect to use 2-3 gallons to treat the homes exterior. Treatments should last at least one month and in general, one treatment in the fall will keep them away. 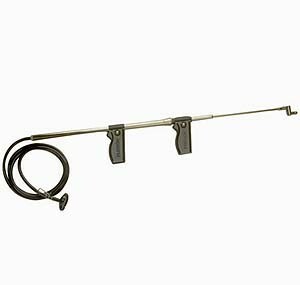 Use a good PUMP SPRAYER like the listed above but if you have a lot of high peaks 20 feet or higher to reach, a TROMBONE SPRAYER may be the better option. It can reach up 30 feet or more and works by sliding the mechanism like a “trombone” as the name implies. Another good option for reaching up high is the HOSE END SPRAYER. 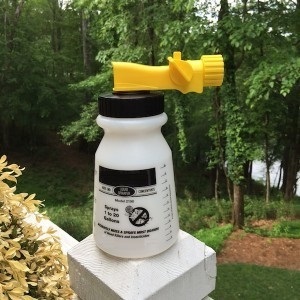 This sprayer works by adding the concentrate first and then water. 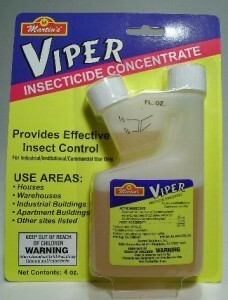 For applying cypermethrin, you’ll need to add 3 oz of concentrate and then fill the sprayer to the 5 gallon line. Next, you’ll want to spray the entire amount onto your homes siding focusing on all areas of activity including rain gutters, soffits, light fixtures, etc. If you already have harlequin bugs inside your home, you’ll need to treat around windows, wall molding and doorways with PHANTOM AEROSOL. This active is a non-repellent which means it won’t spook or chase the bugs around. In fact they won’t know its present so they’ll readily walk over treated surfaces. This in turn insures they pick up the active so they can share it with others when they go back into their roosting locations. 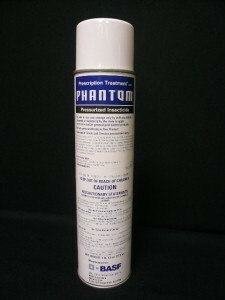 Phantom goes a long way and comes with a crack and crevice straw for injecting it into any gap or void where they might be hiding. Treat infested rooms weekly until all activity stops; one can is usually enough to treat the average home 2-3 times.